No where understands Canadian winters like the prairies. When temperatures dip, it is no fun to be outside and shoveling. 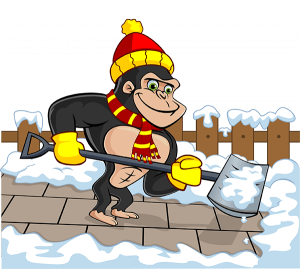 When it comes to cold temperatures and manual labor, our Gorillas are on board! We make your Brandon snow removal and salting our top priority so you don’t have to! Brandon is the second largest city in Manitoba. It is always expanding with new homes, businesses and multi-unit strata properties. Our Gorillas have all the right tools to handle any type of property. More often than not, snowfall is strongest in the late or very early mornings of the day. Our Gorillas are on call 24/7 but you never have to worry about being woken up. They might be large but Gorillas are stealthy when in residential areas. A good night’s sleep is important and that is why we make the switch to shovels and elbow grease during those early hours. Our Brandon snow removal and salting service can handle jobs from great to small. If you are needing to clear a larger area – look no further! 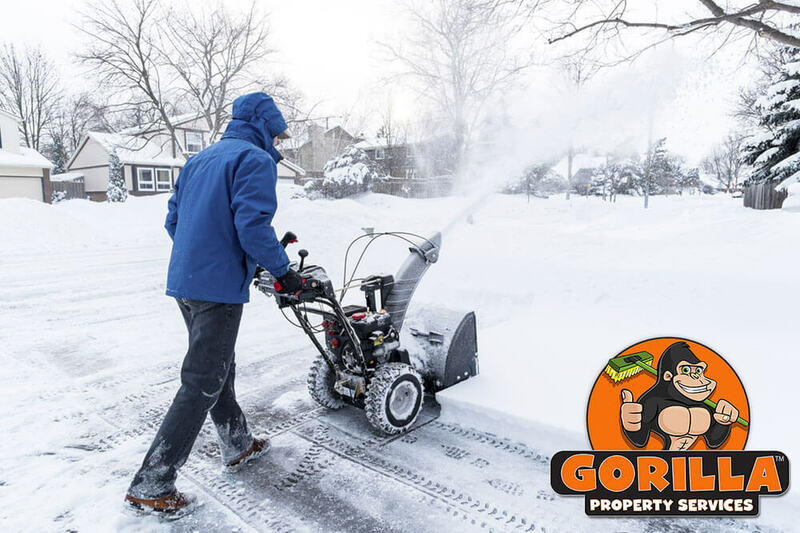 In addition to good old fashioned muscle, our Gorillas work with both snowblowers and plows. Parking lots and commercial spaces are no match for our Brandon snow removal and sating. Winter in the prairies can be unpredictable. You might wake up to sunshine and have lunch in a blizzard. It can be difficult to keep on top of these changing patterns but Gorilla Property Services has it all figured out. Our team of experts has a system of monitoring incoming storm fronts and snow falls. By keeping track of what is coming in, we can make sure that you are never overrun with snow. Gorilla technicians are local to your area and know all the tricks that mother nature has to offer. Although snow might be a nuisance, ice is a pain!